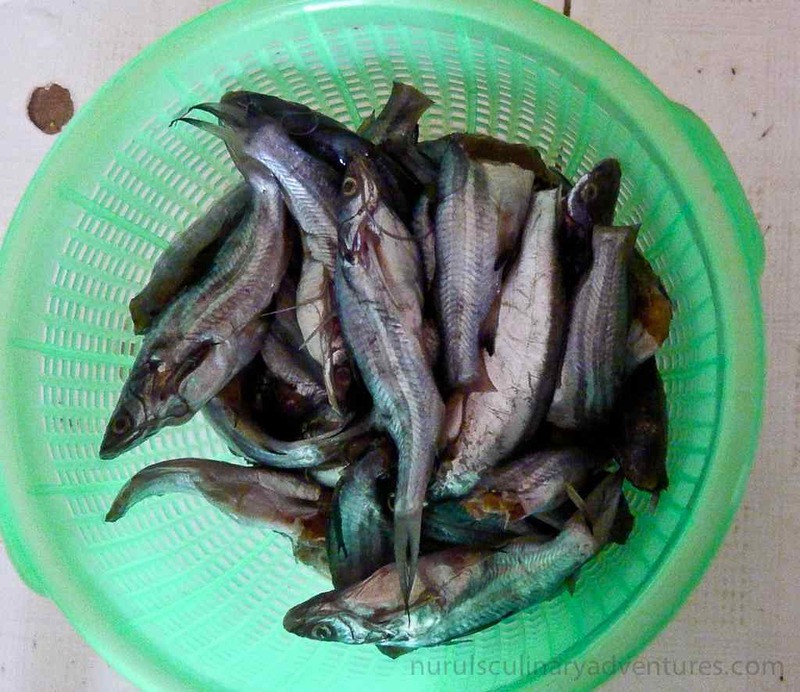 We eat many small fish in Bangladesh as they do in Thailand and Cambodia. Different types come in different sizes. The smallest being Khesri, which is only between 1 and 2 cm long. And by small I mean small. Haven’t a clue what it’s called in any other language. They are just 1 cm long and you eat them in a fish curry with thousands of them. I guess these are impossible to de-gut but I’ll ask my mum tomorrow. There are many different types anything from 1cm to 10cm long. You can buy them in London in frozen blocks in the Bangladeshi groceries all over the East End. Here’s a delicious and easy way to prepare these mini crunchy starter snacks of Bengali cuisine. 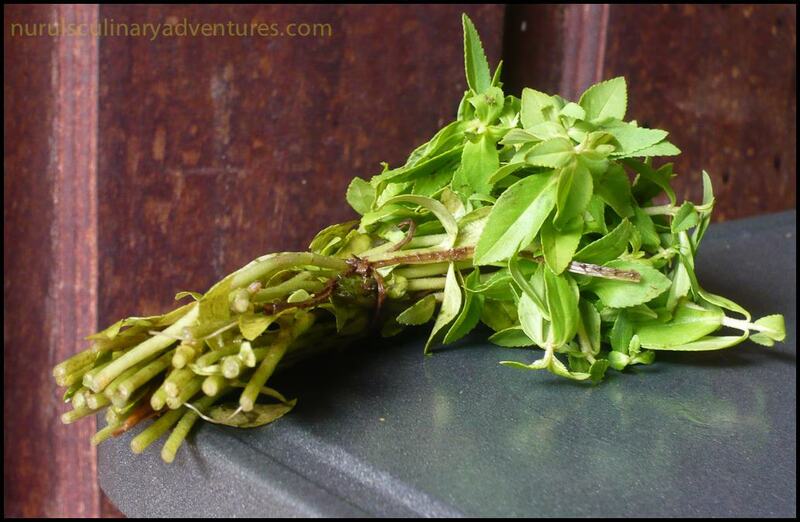 This was my first discovery of this wonderful Cambodian herb, Ma’om last yer. It has such a strong and pleasant taste. So aromatic and adds an exciting new taste to the dish. The citrusy flavour with a hint of black pepper I thought. Nothing like any herb I’d tasted before. And even though this dish is full of the lovely aromatic flavours of lime leaves, lemongrass and galangal, the ma’om compliments all of these whilst adding it’s own intriguing taste that I won’t forget and am drawn to since!! Here’s a dish that I’ve had a few times eating out. This is the first time it was made in my kitchen by a friend. It’s amazing how different it is from my own style of cooking. The only work making this dish is preparing the vegetables and cutting the meat. 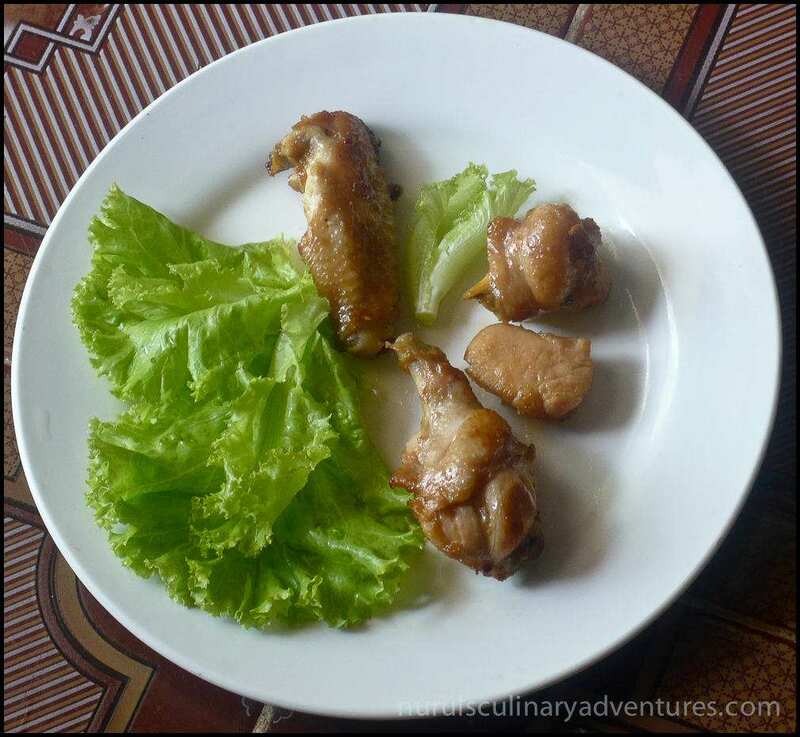 The cooking time is minimal and the way it’s cooked and ate in little bits is just perfect for a leisurely late afternoon lunch drinking beer and eating this wonderful and very easy Khmer dish! Compared to my often hours of cooking time after the preparation this is a welcome change!! Now about the name – Here’s the cooking grill needed to make the dish originally – See last picture below. That’s the ‘mountain’ and obviously the cow climbs it because on the raised bit goes the beef (or any other cuts of meat, fish or seafood for that matter). The veggies go in the side where there’s water and as a soup with noodles. The meat and veggies are cooked with a big paraffin lamp or butane gas flame under the grill. I don’t own one so we just used a wok and my portable gas cooker. Worked just as well. The beef is cut super thin and in small triangular shapes! Anyway, here are these luscious green leaves in their full splendour! Here’s a dish – actually it’s two dishes for which I have the recipes from one of my favourite foodie bloggers. 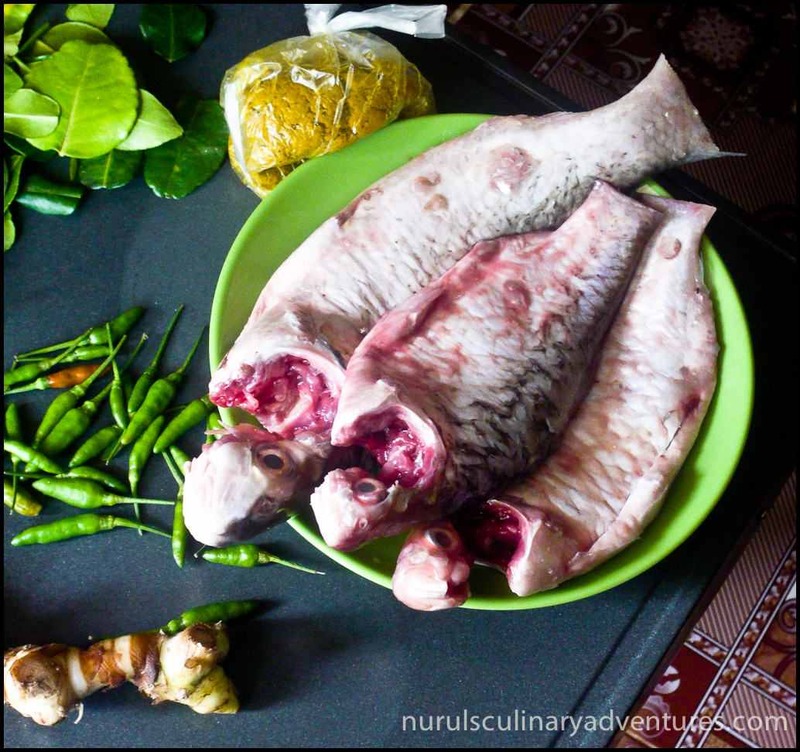 Mama Miyuki from Indonesia has a lovely food blog that I often browse through and lick my lips. I love Indonesian Food!! Her blog is full of delightful, mouthwatering recipes many of which have been passed down through the family. A whole new exciting culinary world for me to discover. This is Chicken Karage. It’s actually a Japanese dish. I of course added a couple of twists to the original recipe. 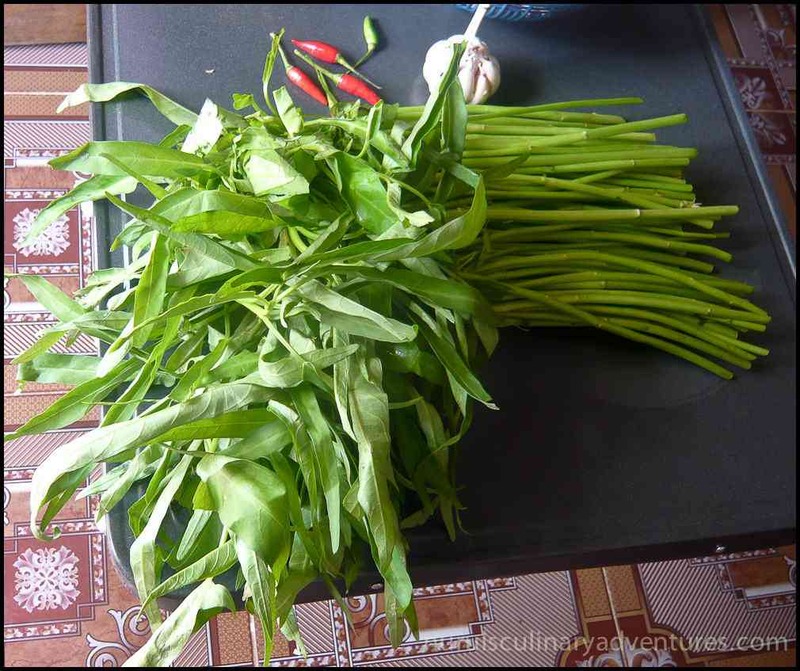 Perfect in combination with kangkung cah terasi/kangkung belacan, stir fried water spinach with shrimp paste. 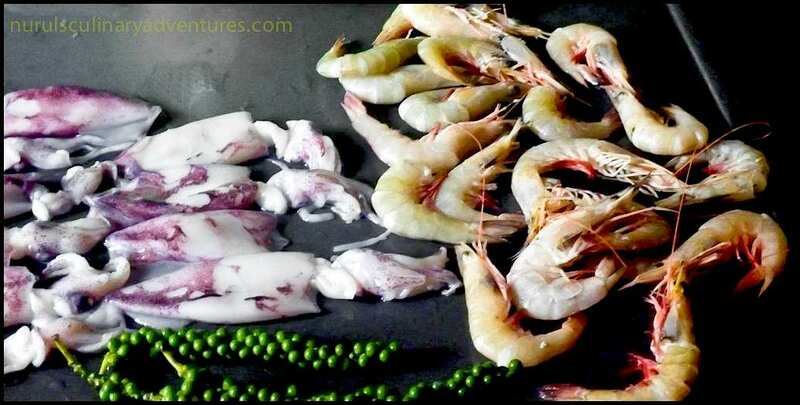 So here is a post of the dishes without recipes from the dinner party with Tin’s family. It seemed such a shame not to use the pics that I spent so much time editing. So why no recipes, I hear you ask? Got eaten by the dog…we don’t have a dog?? The hamster? No? Okay, I simply didn’t write them down…or did and can’t find them anywhere. Many a recipes get lost in the ether again, I guess only to be channelled down to surprise another unsuspecting cook! 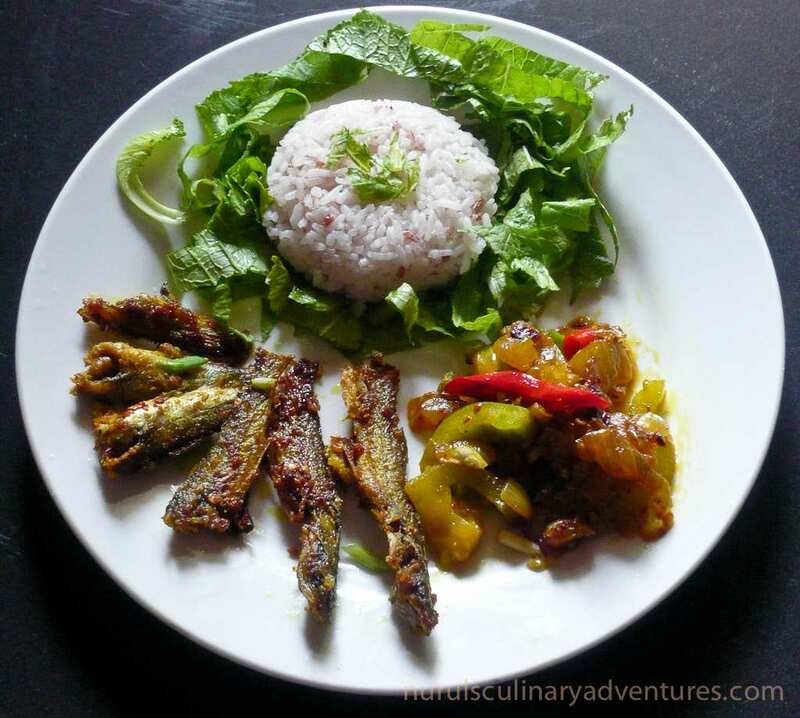 So here are some pics of the Lemongrass Fried Crispy Prawns and Sayur Masak Lemak! Out of all the dishes that I have cooked since starting blogging last year, this dish is my absolute favourite. 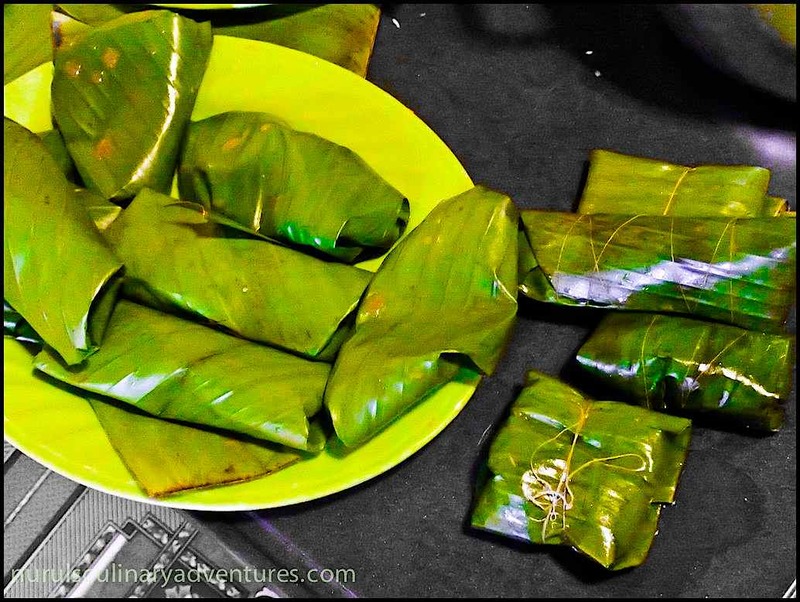 The intensity of flavours along with the aroma of the banana leaf was just overwhelming. It tasted nothing like anything I had ever cooked before. The taste still lingers on my tongue today although I cooked it sometime last year. This morning to my horror I couldn’t find the written up recipes for this and a few other recipes. So, I won’t panic or shout in fury, I’ll do my best from memory. Now the first problem of this recipe is that I’ve never made ‘Teuk Trey Koh Kong’ which is a sauce similar to Thai sweet chilli sauce. You can buy it anytime freshly made in the markets in Siem Reap. I’ll find out how to make it and post the results. It’s a very quick and easy dish to make. 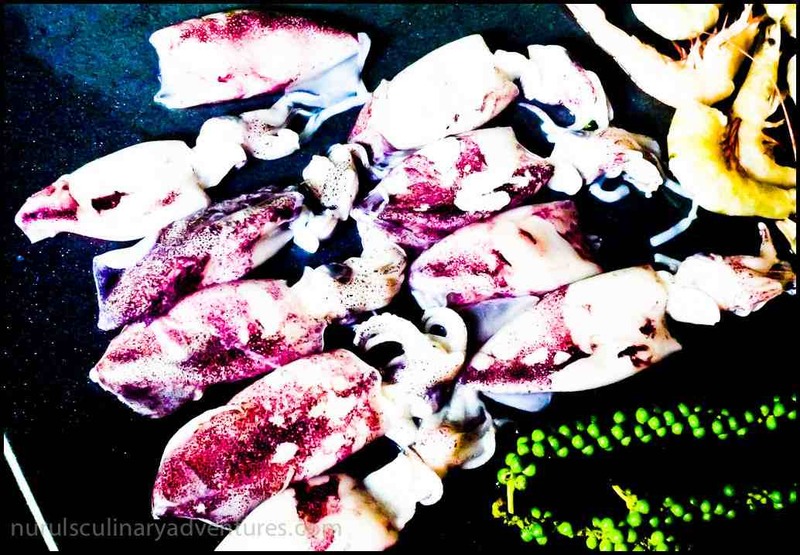 It’s also the first time I ever made squid. Simply delicious :-)!